Microsoft has announced its plan to launch new iOS and Android applications for its Hotmail email service. The service will be native to the iPhone in iOS 5, which launches on October 12. This means users will be able to select Hotmail under the ‘Mail’ app among Yahoo, Gmail and others. The service can be configured to include push notifications along with contacts and calendar integration. 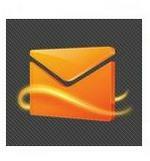 While Android users won’t get Hotmail integration, users can download the Hotmail app for free from the Android Market. The official app will additionally support multiple Hotmail accounts.